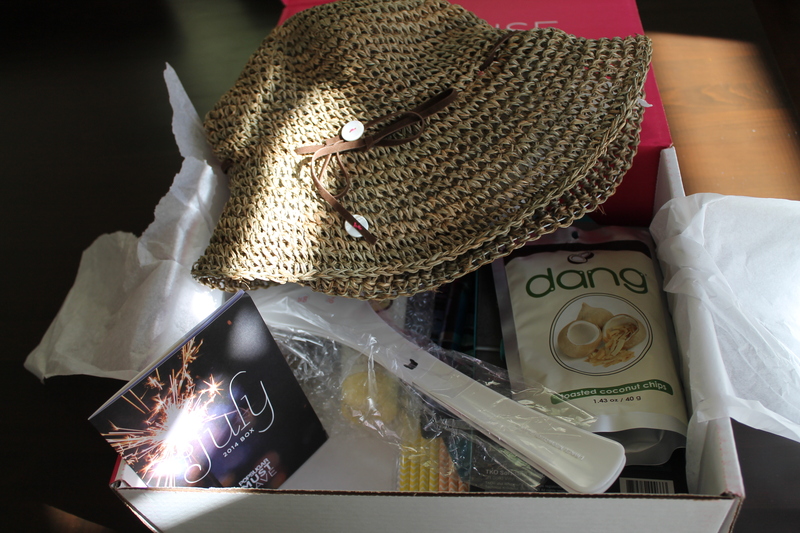 My second PopSugar Must Have Box has arrived and once again I’m very pleased! 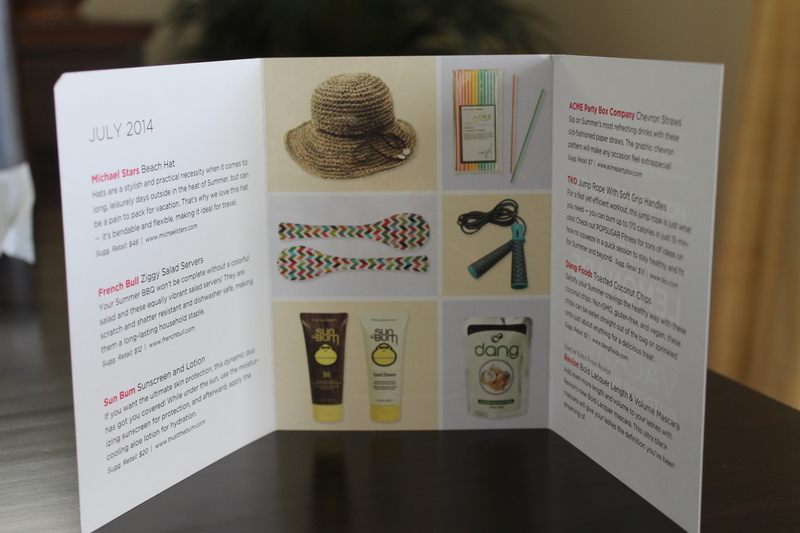 This month’s box contained 7 very cool summer items. The first thing I pulled out was this cute straw hat by Michael Stars. 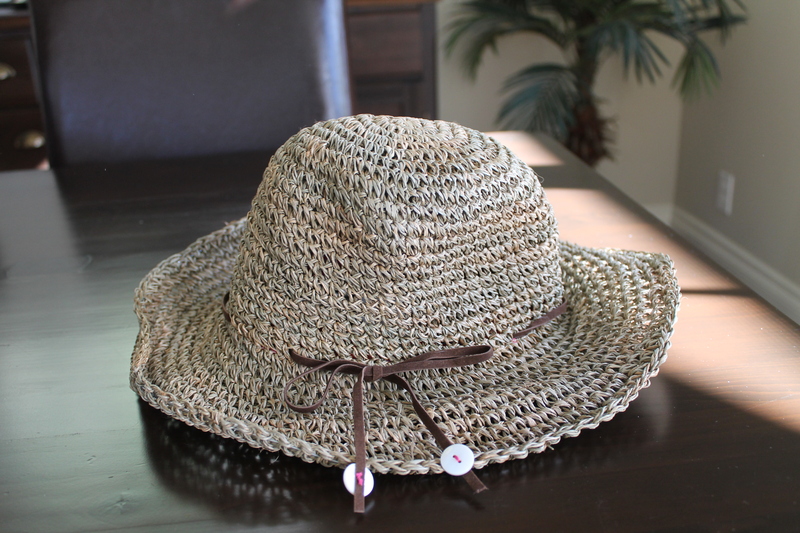 I really like the look of a summery straw hat on other women when I see it, but I wasn’t sure how to wear this one. The positioning of the tag made it appear that the bow should go in the back so that’s how I was wearing it. It didn’t look very good on, but with the sunny 90 degree weather we’ve been having here, I might wear it anyway! 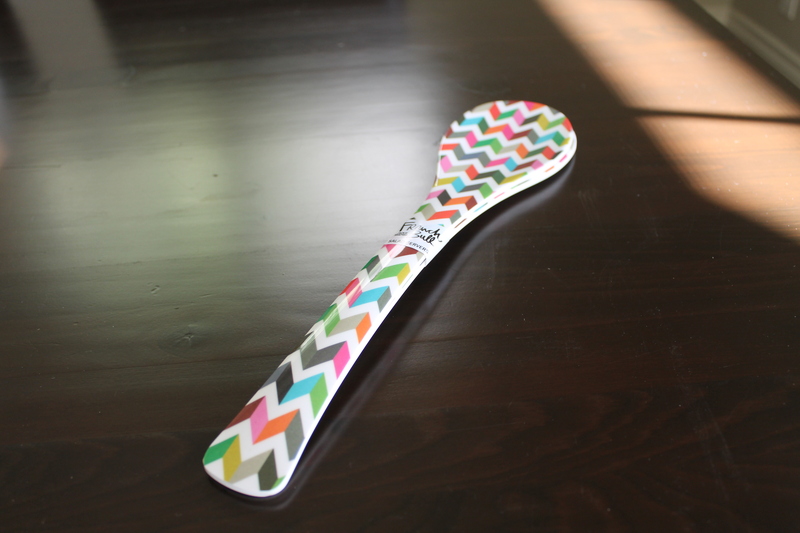 I love the pattern on these and they will be super cute to server salad with. I rarely have guests over for dinner, but next time I do I’ll definitely be pulling these out. I’ve seen Sun Bum products at a few stores now but never really picked them up. I really liked the smell of the Cool Down lotion and actually used it yesterday after a day out in the sun. It smells like Hawaii to me. Will definitely use these. 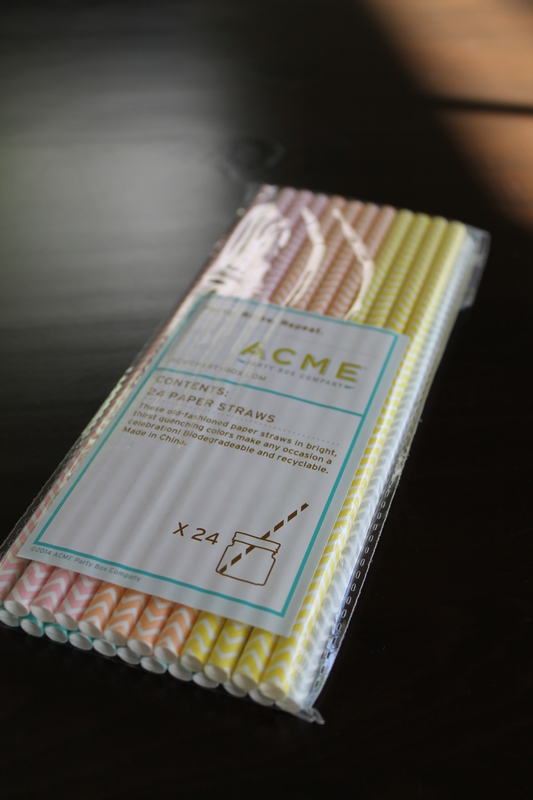 These are super cute paper straws and I’m not sure what I’ll do with them yet, but they seem like a nice way to sip lemonade from maybe a mason jar. 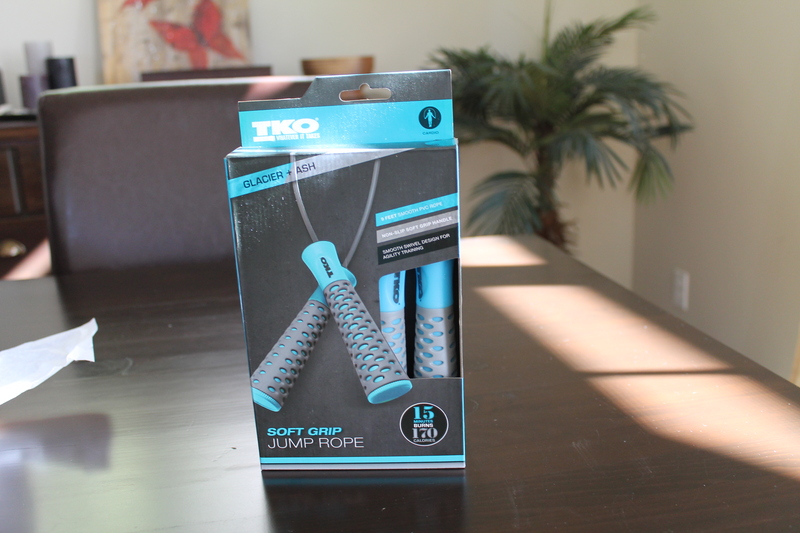 I haven’t used a jump rope since grade school, but it’s probably worth a try. 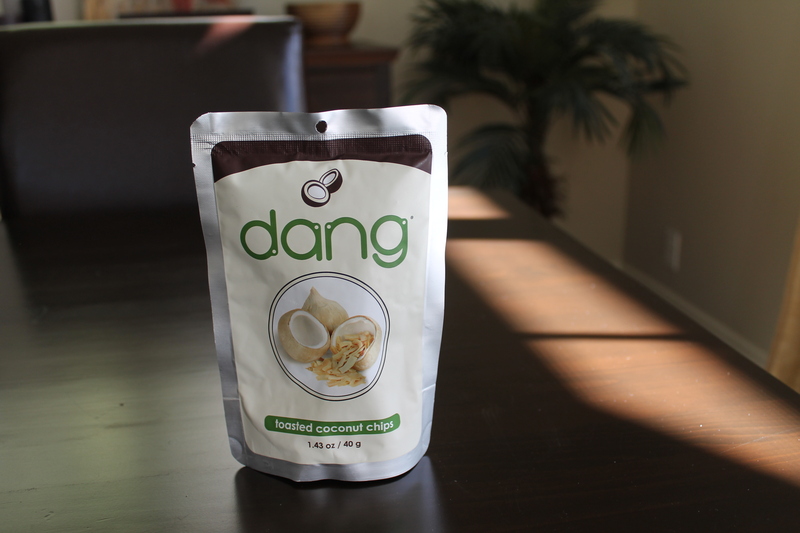 All I can say about these is that they were delicious. I shared them with my husband but ate most of them myself. 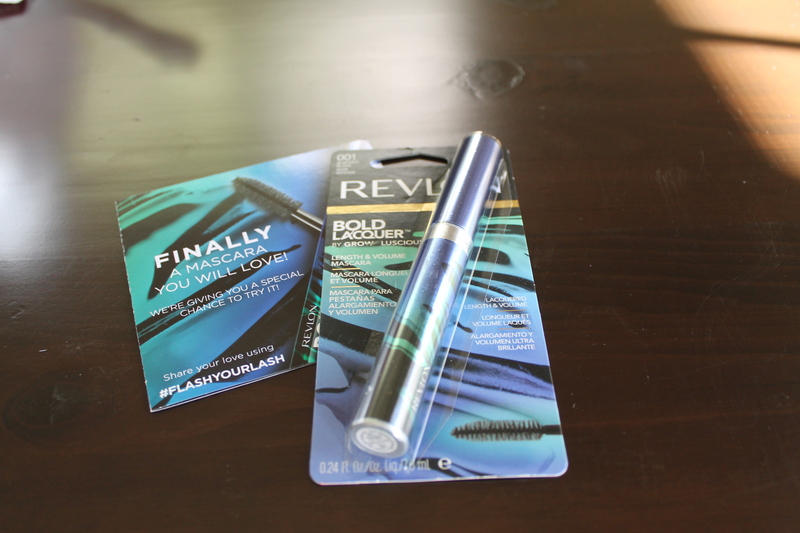 I only wear mascara on special occasions because it irritates my eyes and makes them swell up before the day is over, so I might try this once but it won’t be a staple in my makeup routine.